Phillips Bodygroom range of electric shavers. This range of shaver has proved to be very popular for Philips it has been marketed as an all over body hair removal system. The modern day man tends to shave in more areas than just the face; Due to the popularity of this series Philips have introduced some additional accessories. The most popular ones being the replacement foil and Cutter block this is an integrated unit that snaps on top of the shaver. As soon as the shaver starts to not shave close as it did on day one them at that is the time to replace this part once renewed, continuously close shaving can be achieved again. 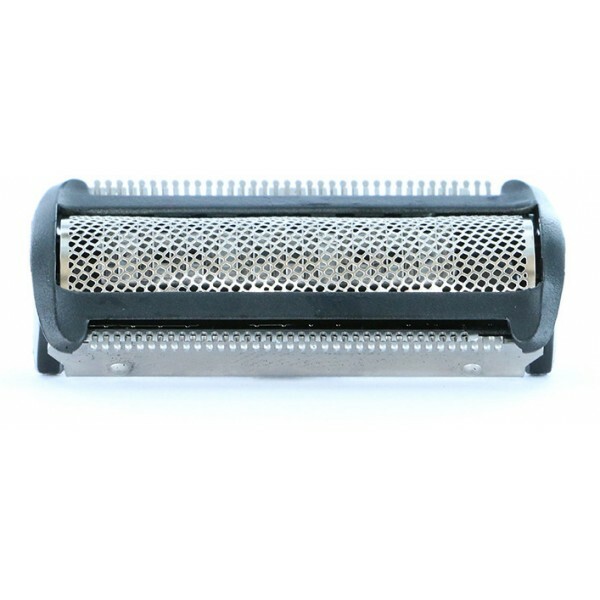 Below we will list all the current and past body groom series of shavers that this replacement part will fit. There are two other popular additional accessories available for the body groom range one is a Philips branded cleaning head brush this has a short strong bristles on one end and softer longer bristles on the other end the price of this brush is approximately £5.00. The other popular additional accessory is the shaving head spray cleaning agent this is available in a pressurised can, important for maintaining a clean shaving head unit.